Visit us before or after the event for drinks and a meal. Come Visit Settle’s Best Traditional Irish Pub! Seattle's FINEST Irish Pub & Restaurant! You can be certain that only the finest and freshest ingredients go into your food! 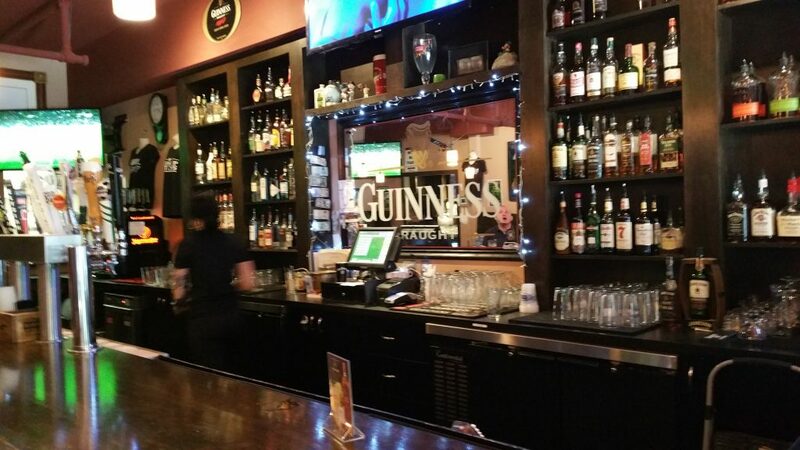 Located in the heart of downtown Seattle next to Pike Place Market and The Showbox, we offer a great Irish themed menu serving lunch & dinner & of course our daily Downtown Seattle Happy Hour. Full bar, cocktails and of course, beer! ( and wine ). Our phone # is (206) 448-8439 and we’re located near Pike Place Market, Seattle Art Museum, Show Box Theater, and other great event venues Downtown. We open at 11:30 AM and close at 2AM. We were envisioned, designed, stocked, and staffed with one mission in mind: to bring you great food, drinks & beer in an Irish Pub atmosphere. Blarney Stone Pub Seattle is an authentic Irish Pub. Visit us to have a Guinness or two and to taste traditional Irish food. We’re located just a few steps (seriously, it’s a 15 second walk) from the Showbox Theater near Pike Place Market! This place is one of the only cool bars in downtown Seattle. There also just aren't that many bars downtown. This is one of my favorite dive bars. Staff is friendly and crowd is eclectic. Right next to Showbox at the market so a good place to grab a drink before hand. New menu has some good options on it as well.